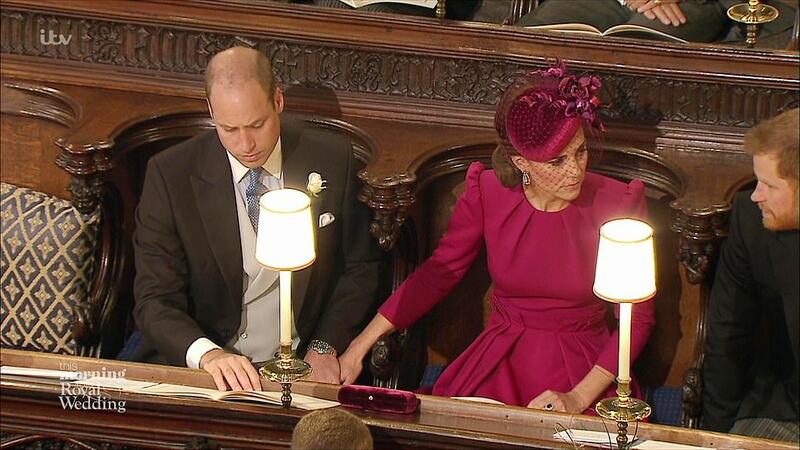 The Duchess of Cambridge Kate Middleton stole the show at the wedding of Princess Eugenie clad in a gorgeous raspberry hued ensemble. The Duchess, who always takes care not to steal the limelight at others' big days, chose a never worn before bespoke creation from her go to fashion house Alexander McQueen. Kate, who also wore Alexander McQueen for her wedding, and chooses the designer house for all important royal events, was a radiant sight in the pretty structured fit and flare dress that featured puffed sleeves. Kate styled her look with burgundy Jimmy Choo heels and a matching clutch, and put her toned and lean legs on show in the dress that rested just above her knees. 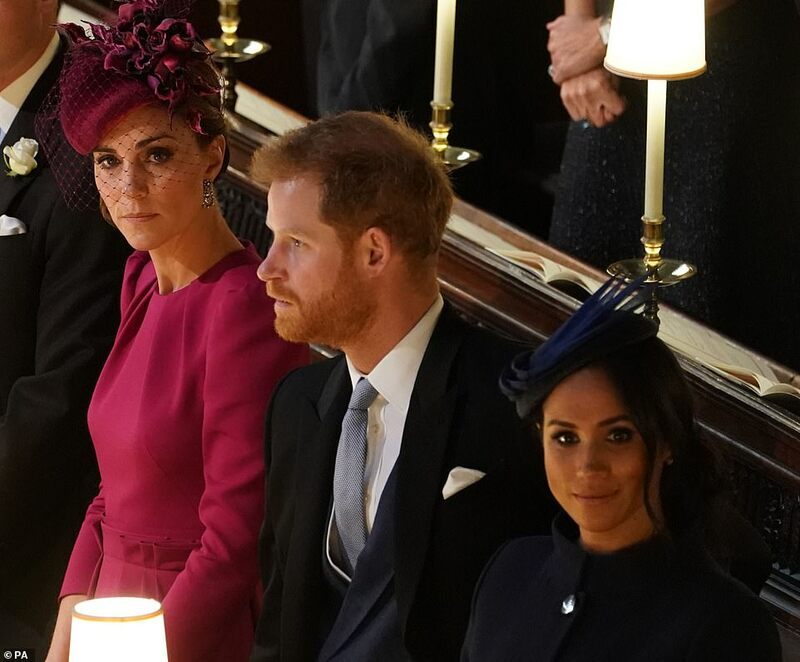 The Duchess of Cambridge also wore a matching veiled floral fascinator by Philip Treacy, and completed her style with pearl and diamond earrings and an elegant updo. The mother-of-three earlier this month returned to royal duties after being on maternity leave, and her children Prince George and Princess Charlotte were page boy and bridesmaid at the wedding of Princess Eugenie.